Victor’s rear guard gift on Christmas Eve. 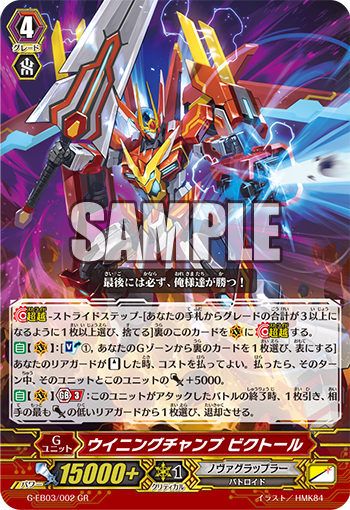 CONT (RC) If you have a vanguard with “Victor” in its card name, this unit gets “CONT (RC) Resist” and “AUTO (RC) 1/Turn [Counter Blast 1] When this unit attacks, you may pay the cost. If you do, choose one of your other rear-guards, Stand it.”. 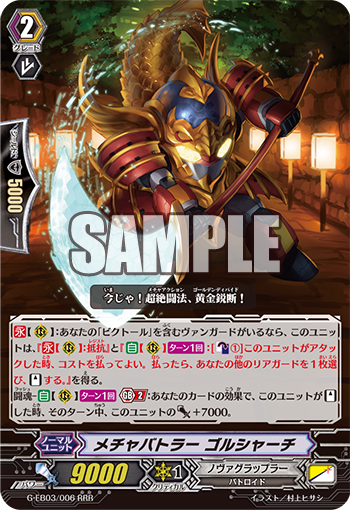 Rush AUTO (RC) 1/Turn Generation Break 2 When this unit Stand due to the effect of your card, this unit gets Power+7000 until the end of the turn.